There’s a reason Gucci’s Ophidia range is well-loved by men and women alike. It isn’t because of the number of options and variations created for either gender (a quick count led to more than 20 different pieces that range from handbags to duffles and totes), but also the perfect combination of the beige/ebony GG Supreme Canvas that’s finished with the green/red/green webbing running down the middle. That, along with the double ‘GG’ logo (one that takes design cues from a belt buckle of the 70’s) reintroduced by Alessandro Michele, makes the Ophidia a winner through and through. 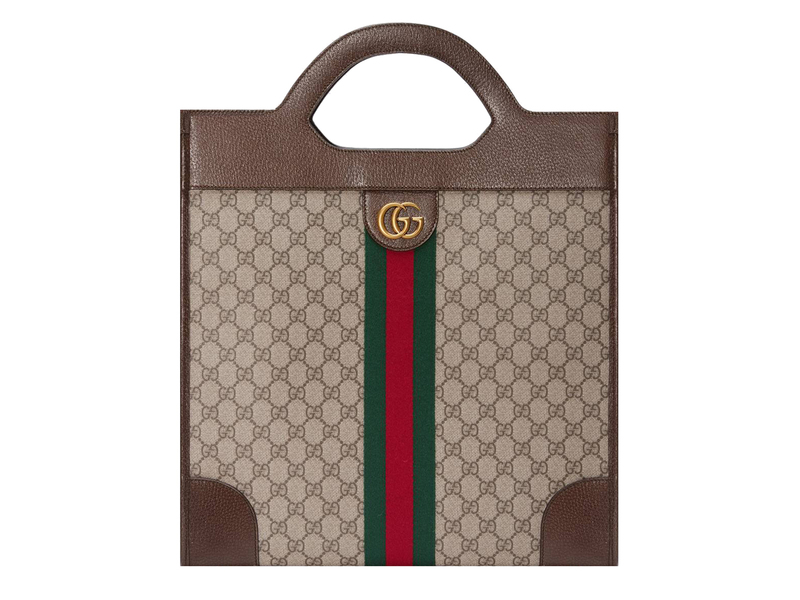 Expanding the range further is the recently introduced Medium Top Handle Tote that’s also part of Gucci’s Holiday 2018 collection. Measuring 38 cm high by 36 cm wide, the structured tote is perfect for carrying A4 documents amongst other daily essentials like a portable charger, wallets, even an iPad if you so wish. And because the bag does not come with any top zippers or buckle, it is that simple and fuss-free.